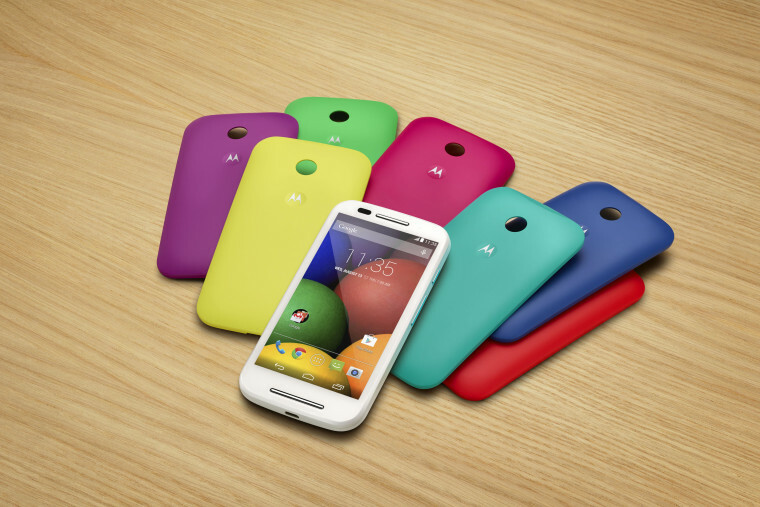 The new Moto E does not have any mind-blowing features that will make iPhone 5s and Samsung Galaxy S5 users jealous. It does have an extremely appealing price tag: $129. That is without a burdensome two-year contract. For those who don’t mind being locked into deal, it’s possible that the price could drop even lower if carriers decide to subsidize the phone. Unlocked top-of-the-line phones are expensive. The iPhone 5s with 16GB of memory costs $649 without a contract. The upside? Consumers are free to shop around for the cheapest service plan and don’t get hit with huge fees if they decide to switch to something else. Of course, plenty of people are willing to tolerate restrictive plans and poor customer service if it means a $200 subsidized iPhone. The Moto E is not the most advanced alternative. Still, it’s no schlub. It runs the latest version of Android, KitKat, and features a scratch-resistant, 4.3-inch Corning Gorilla Glass display, 5-megapixel rear camera, 1.2GHz dual-core processor and interchangeable color shells. Sadly, it lacks a front-facing camera, which is bad news for people who love taking selfies, and its 960 by 540 pixel resolution won't impress many people. None of its features are revolutionary, but, again, the phone costs only $129. Motorola, soon to switch hands from Google to Lenovo, is marketing the Moto E as “made to last, priced for all.” Consumers could decide that is all they need to ditch two-year contracts.